It finds a spreading market here among entrepreneurs and start-ups, prompting rapid expansion plans. With the proliferation of solo entrepreneurs and start-ups in the country, it was a matter of time before office space became another opportunity to launch a start-up, catering to the mobile workplace needs of these professionals. There are others in this place but the Amit Ramani-led Awfis Solutions intends to be a clutter-breaker, with a managed aggregation strategy. Instead of focusing on the peer-to-peer model, the company intends to create a niche through this strategy in the form of ‘pro working’ spaces. The company, with initial funding of $10 million (Rs 67 crore), currently has a network of 1,500 seats in Mumbai, Bengaluru and Delhi. It aims to take this to 10,000 seats across 10 cities. Ramani and Radha Kapoor are the key investors in the venture; the proportion of investment by either is not disclosed. Managed aggregation, Ramani explains, is a practice where Awfis manages the properties in its network integrating services and technology back-end. In other words, while on the one hand the platform serves as an aggregator of office spaces, it also provides technology back-up and manages these spaces, taking responsibility for the end-user’s experience. “The way we are different from our peers is that we take ownership of the user experience. Unlike rent a cab services, where a part of the operation is beyond the portal’s control, we have our staff at the properties to ensure the experience is good. This addition to the sheer scale we have achieved since we started in September 2015 and plan to achieve this calendar set us apart from the existing players,” says Ramani, founder and chief executive officer. 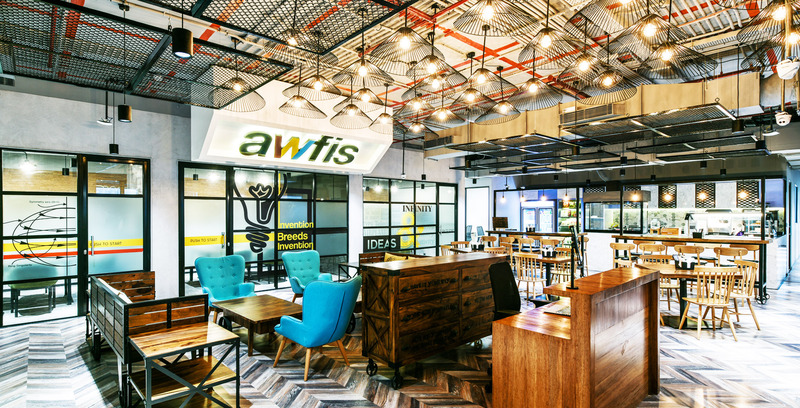 Awfis has partnered with real estate developers which have unutilised space and hotels with meeting rooms to let out. With the former, the partnership is either on a rental basis or revenue share. In the case of hotels (Awfis has already struck deals with the Trident, Hyatt and Lemon Tree groups), it is a revenue share model. The booking back-end of the hotels has been integrated into the Awfis mobile app, which allows users to be updated on availability and booking, real time. In the case of real estate partners, Awfis invests in the infrastructure and ambience. 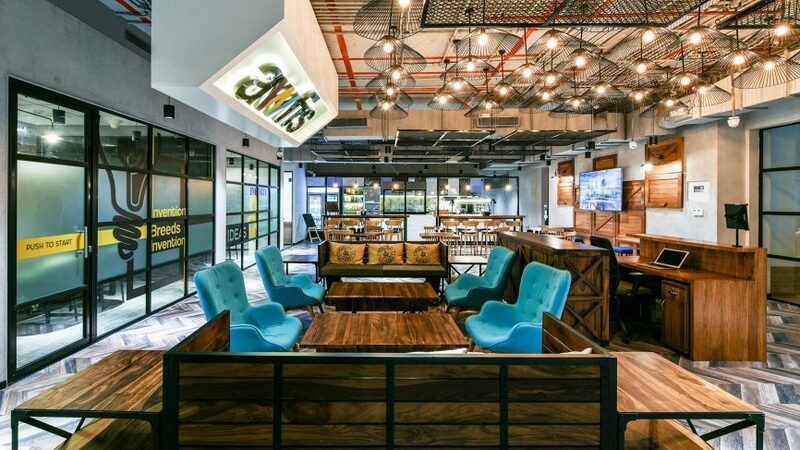 It says it has created proprietary Grade-A, highly energetic and inspirational community work spaces (1,500+ desks, across seven Centres, operational across Mumbai, Delhi, Bengaluru) and is working to ramp this up to 3,500+ desks across 15 ‘work innovation centres’ in these cities by March. Each centre provides technology-enabled physical infrastructure — video projection, NFC cards, CCTV, high-speed internet, laser printing. Members get the benefits of using custom-sized multi-location workspaces on a flexible lease tenor, from an hour to up to a year (or more), depending on work requirements. Additionally, Awfis has partnerships that provide its community members access to leading service providers in accounting, legal, recruitment, payments, web services, mail management, health care and insurance. Ramani says their experience shows that in the metros, properties break even at the operational level once they hit the 40 per cent occupancy mark over four to six months. It varies from city to city, given the difference in property rental rates. “Additionally, our capex is not exorbitant because we have used synergies from our family companies like Nelson Asia, which provides architectural design and consulting services. We also have more properties seeing good occupancy. Of the $10 million initial investment, we have used around $3 mn so far and the rest will be used to scale up to 10,000 seats by the end of this calendar. For the next phase of expansion, we aim to raise $40-50 mn, for which we will go to the market by September this year,” adds Ramani. At 10,000 seats, Awfis will then be the largest managed aggregator of office space in the country, he reckons. Office spaces under this venture are available on a membership basis, as well as an on-off basis. The prices range from Rs 350 a day to Rs 11,000 a month for work stations; meeting rooms are available for anywhere between Rs 500 an hour to Rs 3,500 a day. Where the partner is a hotel, the latter’s rate applies.